Posted on 1 January 2014 and filed under Très Chic. This is Tiger Lily. The kitty handbag. I am wishing you a happy new year with it! Let it be healthy and happy! 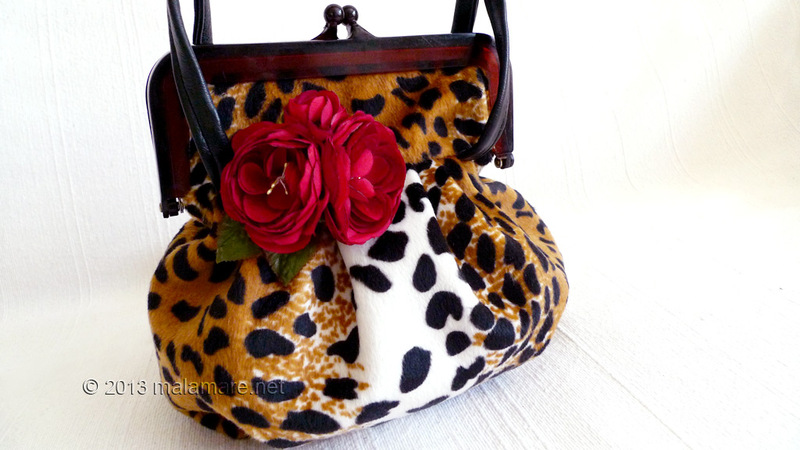 I made Tiger Lily velvet handbag from velvet fabric with leopard pattern in white, black and brown colours. 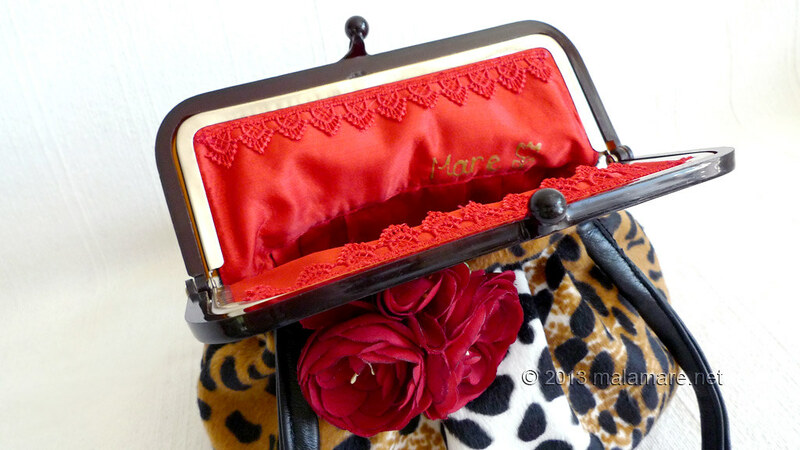 The bag lining is red satin with red lace sewn just under the bag frame. 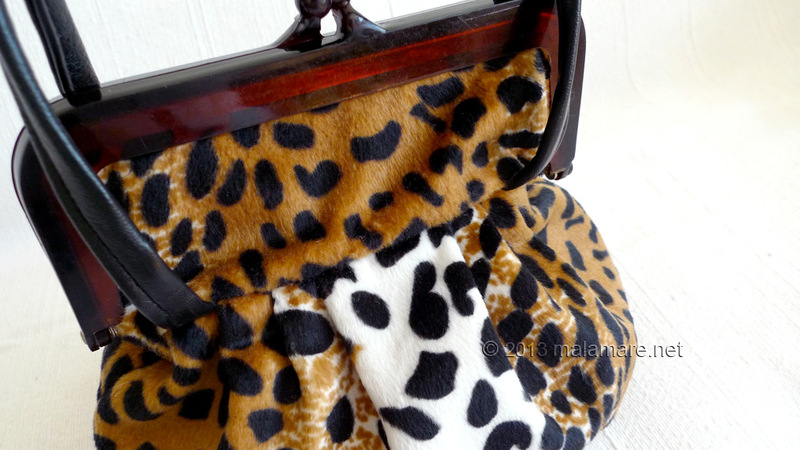 The handbag has been strengthened with a layer of interfacing for firmness and shape. It closes with a frame that is made from brown plastic on the outside and metal inside. 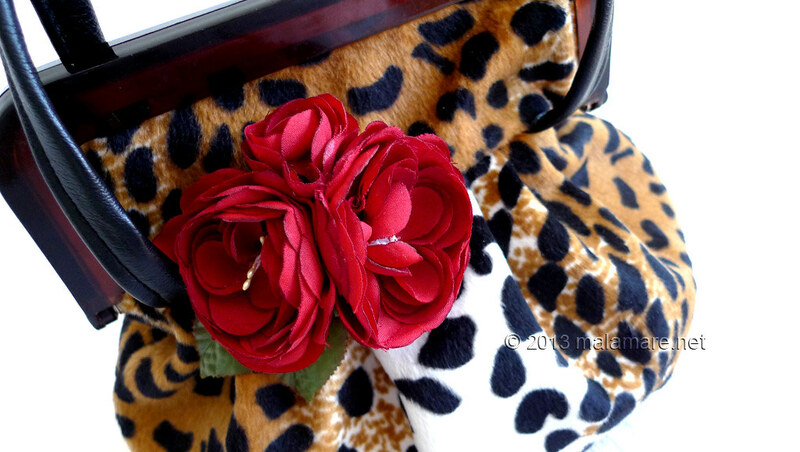 Bag handles are made from upcycled faux leather tote bag. 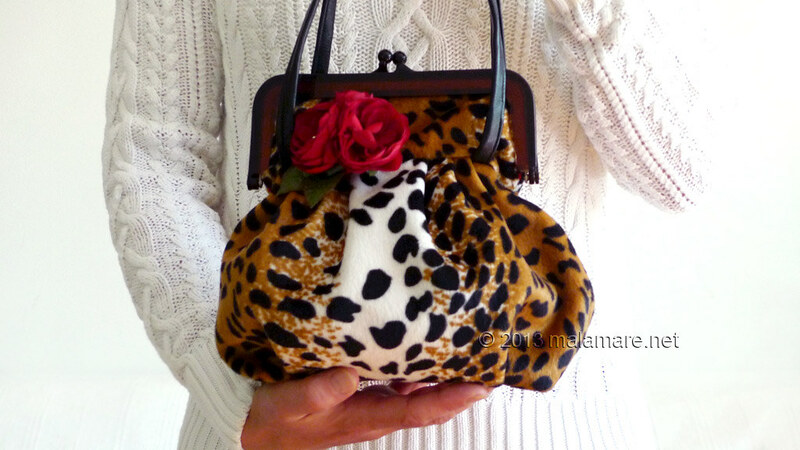 The handbag is 32 cm (top of the handles) i.e. 22 cm (top of the frame closure) high and 24 cm wide. Rich folds on its sides ensure plenty of room inside of it. 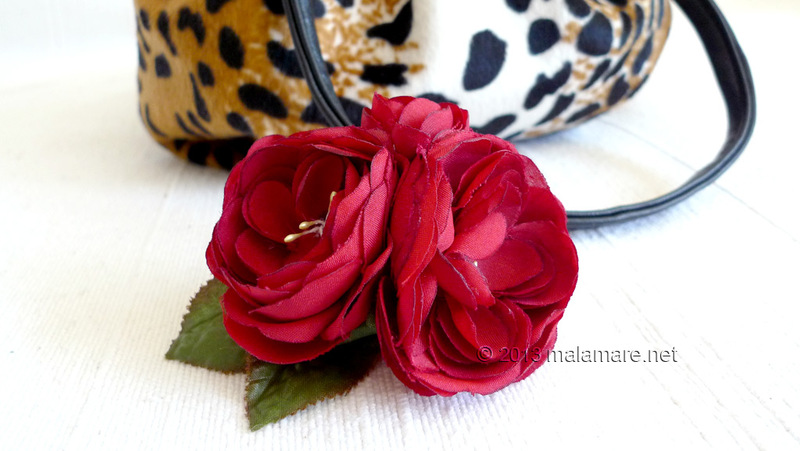 It is adorned with a brooch I made from three red fabric flowers. I just discover your blog, and like your work very much. This last message is old, do you continue to sew and embroider ? Please don’t stop, it’s very beautiful ! Thank you very much! The last post has been written… huh… ages ago. I do continue to sew and embroider, but have been quite busy with other type of design and sewing and I’ve let the blog hibernate for way to long… Time to wake it up, and kind words like yours are great encouragement, thank you!